Alexander Merchant (1872-1952), was Highland Park's most influential architect in the first half of the 20th century. 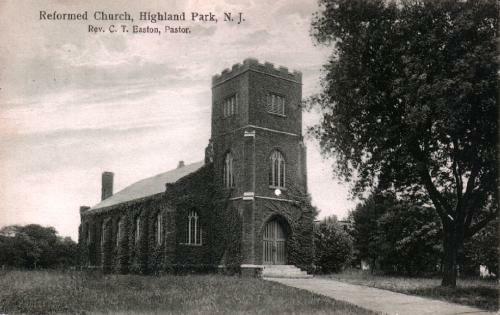 His first major commission was the Reformed Church on South Second Avenue. Merchant was born in Glasgow, Scotland on January 7, 1872. His father was a purser on the National Line sailing between Liverpool and New York City. In the late 1870s, Merchant’s family settled in Long Island City, Queens, where Alexander received his elementary education. He had no formal secondary education. As a sixteen-year old in 1888, he began his life-long work by being an apprentice to architect D. D. Williamson in New Brunswick. He remained there for five years. Around 1893, Merchant began to work in the office of Carrere & Hastings in New York. He stayed with the New York firm until he was granted a license and he returned to settle in Highland Park. 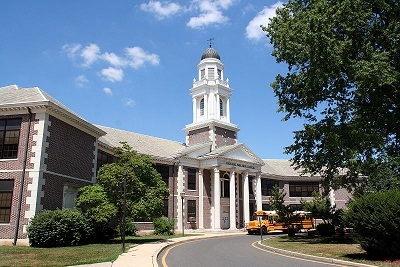 His long career included the designs for hundreds of schools, commercial buildings, and houses throughout central New Jersey.